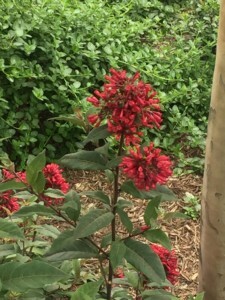 Ever wanted to identify a flower or plant? Now you can with the myGardenAnswers Plant Identification app. Just snap a picture and you will instantly get plant matches along with detailed care information by garden and horticultural experts! 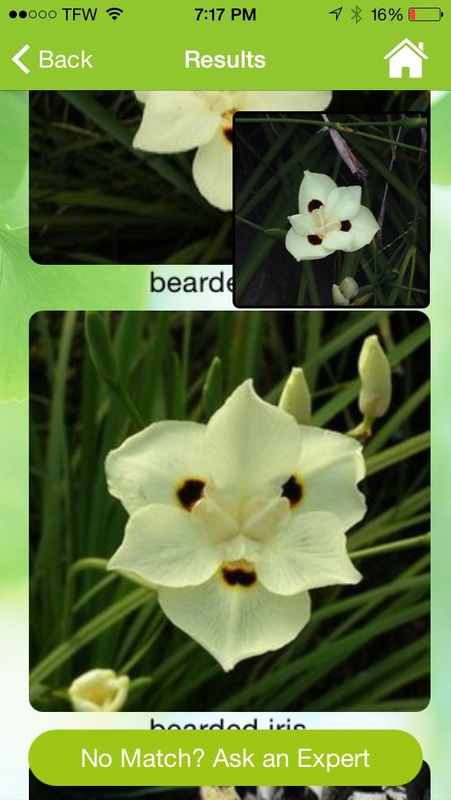 Our advanced image recognition technology can instantly identify flowering plants from our database of 130,000+ entries. If you’re concerned about a plant disease or insect infestation, you can use the keyword search feature within Garden Answers. It contains answers to thousands of commonly asked plant questions. Can’t find your answer? Reach out to one of our horticultural experts directly, and get a response within 24 hours. Simple interface that is point-and-click easy to use. 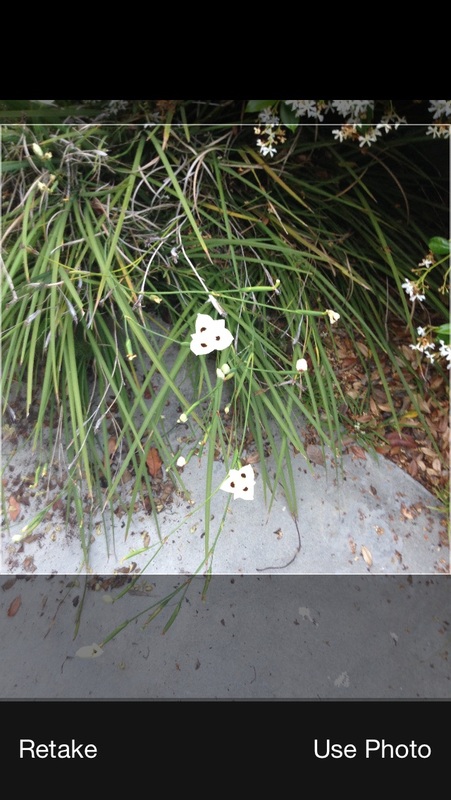 Identify almost any plant within seconds. 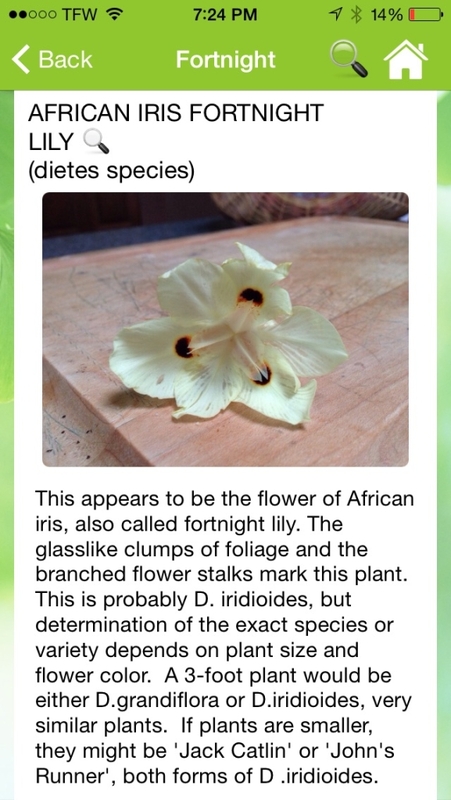 Keyword searchable database to find even more information about a plant. Save your favorite matches under the Favorites tab. 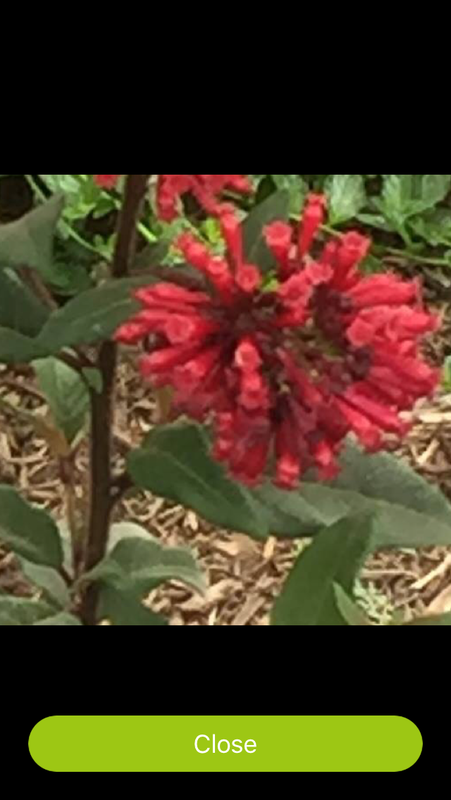 How can I take a good, identifiable photo of my plant? The best way to get good matches for your plant is to take an extreme close up of a distinguishable quality of your plant, using the pinch and zoom camera feature. Summer snowflakes is not the correct answer. By zooming in on the flower of the plant, including some of the foliage, and removing the 2nd plant from the frame, we get better results. How do I give permission to my camera and photos? If you accidentally deny permission to your camera or photo library, you can give the permission by opening iOS settings, slide down on 1st page, search for GardenAnswers, then add missing permissions for Camera, Photos, Cellular Data, and Location. Why haven’t I received a response, it’s been 24 hours? You will receive an initial email response to your “Ask an Expert” query within minutes of sending your question. If you do not receive this confirmation email, please verify that your question has successfully left the OUTBOX in your Mail app. Also check that our response isn’t in your SPAM folder. Our typical response time is within 24 hours. If we cannot answer your question within 24 hours, you will receive a 2nd email from us explaining the reason for the delay. You can also verify that we have received your question by going to the app, and clicking on Your Questions and Answers . If you see your question there, and it says it is in the queue, then we are still processing your question. Your answers will also appear here. If you get stuck, send us feedback directly from the app settings page, or email support@gardenanswers.com for further assistance. How do I bookmark flowers so I can refer to them later? 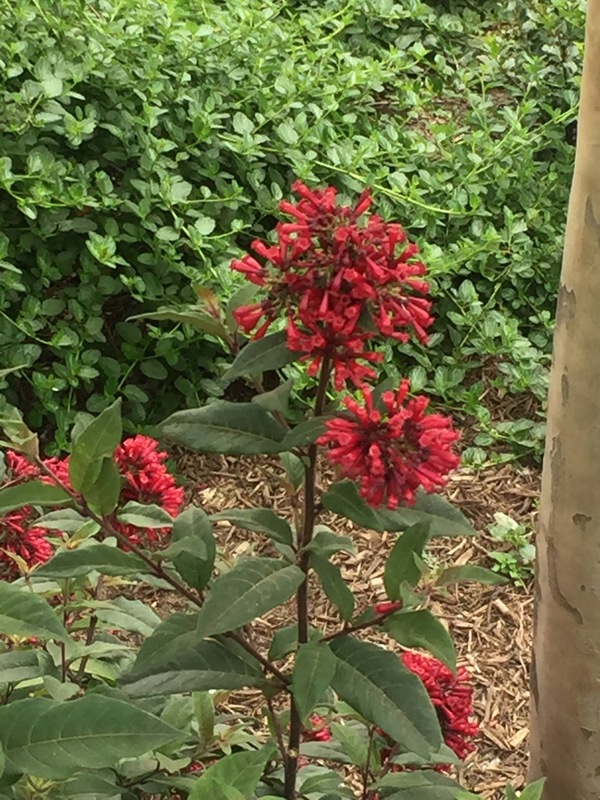 After clicking on the plant that is the closest visual match, you will see a list of past answers we have given for that plant name. Click the button labeled “Save” and your photo along with the description will be added to “Your Questions and Answers”. Both your favorites and any paid answers will appear on this page. Tap iOS Settings > General > Date & Time. Make sure your date, time, and time zone are set correctly. Tap iOS Settings > iTunes & App Store. Try signing out of iTunes, and signing back in again. Make sure that your iOS device is connected to Wi-Fi. Learn what to do if it won’t connect. If you’re using cellular service to connect to the Internet, make sure that you have cellular data for the iTunes Store turned on. To do so, tap Settings > Cellular and make sure that Garden Answers is set to On. 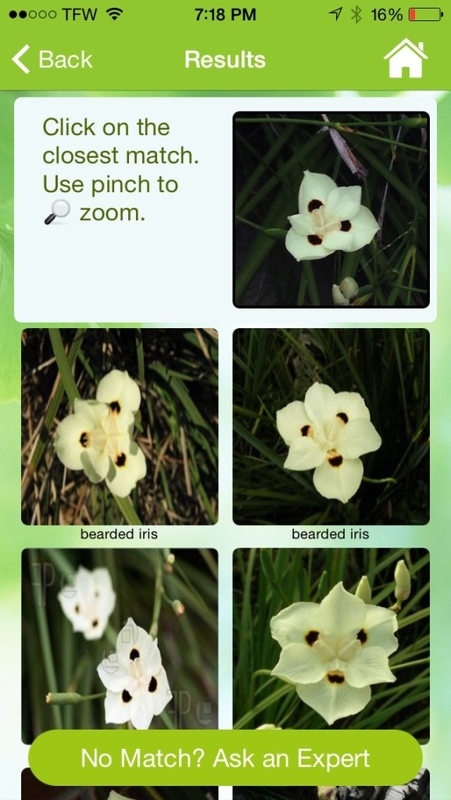 For automated flower Ids, the service is free. For “Ask an Expert”, where one of our staff answers the question, the fee is $1.99 per question. If we cannot identify your plant, you will be able to resubmit your question again with better photos, a more mature plant, etc. with no additional fee. Under certain circumstances, we may refer you to your local master gardener, university resource, or other volunteer service — there is no fee for this reference. Why does app constantly say “verifying email”? We use email to notify you when a horticultural expert has answered your question or needs more information. The GardenAnswers app will wait for the email to arrive at our server. Please verify that email is being sent successfully from your mobile phone’s email app. If needed, you can go to App Help and Settings and click Change Email Address which will send the confirmation email a 2nd time. The app will register your account to the email address it receives during the verification process. If you want to change your email address, you will need to update the From address in the verification email that you send to us. If your email address is incorrect, you can go to Settings and click Change Email Address. How do I use the refine search feature? The Refine Search feature works similar to a google search, except we are only searching articles in our database of answers. 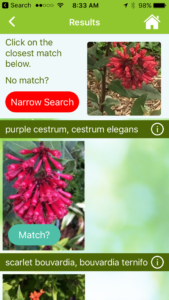 This tool is especially useful to broaden searches for plants. For example a more restrictive search, such as CRIMSON FOUNTAINGRASS produces no results, but by refining the search and removing the word CRIMSON produces several answers under the name PURPLE FOUNTAINGRASS. 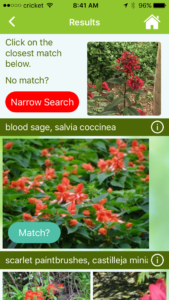 Another great use of the Refine Search feature is to add a keyword to get more information about diseases or problems that can attack your plant. Simple add the word PROBLEM or DISEASE or PEST to your search. The results thumbnails are too small. Can you make them larger? Why is the Camera not working? Please check that you have given the app permission to your camera. Go to your app listings page (where all your app icons appear). Slide over to the 1st page of apps and search for the Settings icon. From iOS Settings, click Privacy. Click Camera. Now find GardenAnswers in the list and verify that the app has access. Why am I getting the message “we do not have experts in your area yet…”? Why do I need to give the app access to my camera and photos? 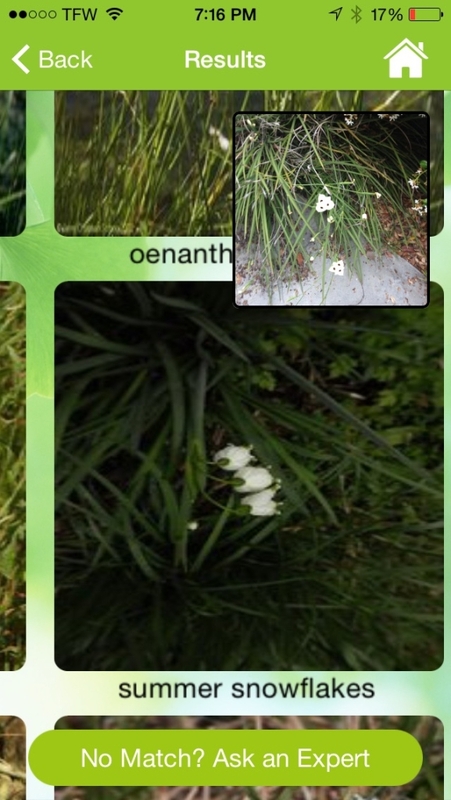 Our app is designed to identify a plant from your camera, or a past photo stored in your photo library. We do not upload all your photos on your phone to our web site. After giving access, the app will use your built-in photo library app (provided by iOS or Android), to display your list of photos. We are only able to retrieve the photo that you select from your library. This photo will be uploaded and stored on our server. We reserve the right to reuse uploaded photos as part of our shared content library. Who answers the Ask an Expert questions? Our paid service is answered by our own garden staff. Since the app launched in 2013, we have answered over 130,000 questions directly. In order to scale our operations, we switched to a more automated service with a paid component in May of 2015. Is it true that you are sending questions to volunteers? No. Paid questions have never been sent to volunteers. As a courtesy to our customers, past versions of the app did contain a directory listing of regional Master Gardener contacts. Unfortunately, by listing these contacts, we quickly overwhelmed the volunteer network, and have been asked to remove these references from our app. How can I delete a matched search from my history? Go to “My Answers”, click on “Recent”. Select match that you would like to remove, slide row to left, much like removing a message when using iOS email app. Sliding the row to left will remove the entry from the list. How do I remove the ‘1’ showing on the app icon? When you receive an app notification, it will appear as a red button with an alarm icon at the bottom of the home page of the app. If you click this button, you will be shown your notifications. You can also access your notifications from the “Answers” button. From your iOS / Android settings page, go to notifications, find Garden Answers and turn off notifications.